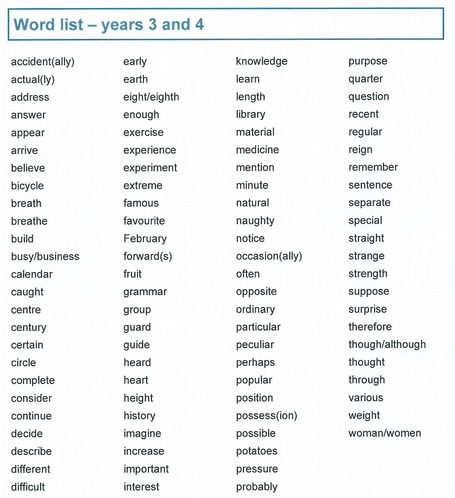 If you need an extra copy of your weekly spellings, you will be able to find them below! By the end of Year 4, children are expected to know how to spell the following words as set out in the National Curriculum. Selections of these words will be sent home each week for your children to learn. Spelling tests take place on Friday mornings!